5 good reasons to learn French in 2019! Welcome to Alliance Française Strasbourg Europe! A new year will soon begin and with it the traditional good resolutions! What if the time had come to learn French or to perfect your knowledge and discover French culture? Every month, the Alliance Française Strasbourg Europe offers you a wide range of courses adapted to your needs: intensive courses, evening courses, speciality courses or private lessons... and a programme of cultural and educational activities. The school is located in the centre of Strasbourg, a stone's throw from La Petite France, a lively district par excellence, especially at this time of year when Christmas markets are held in the city centre. Tourists from all over the world flock to Strasbourg, the Christmas capital. They discover with wonder the illuminations, the Alsatian traditions, take a break in a winstub to taste the Alsatian specialities (sauerkraut, baëckofe, flammenküche...) or taste a mulled wine. The Alliance Française Strasbourg Europe wishes you a merry Christmas and a happy New Year and looks forward to seeing you in 2019. You are an employee or member of the managing staff of a company and you are looking for an educational institution that offers quality French courses? 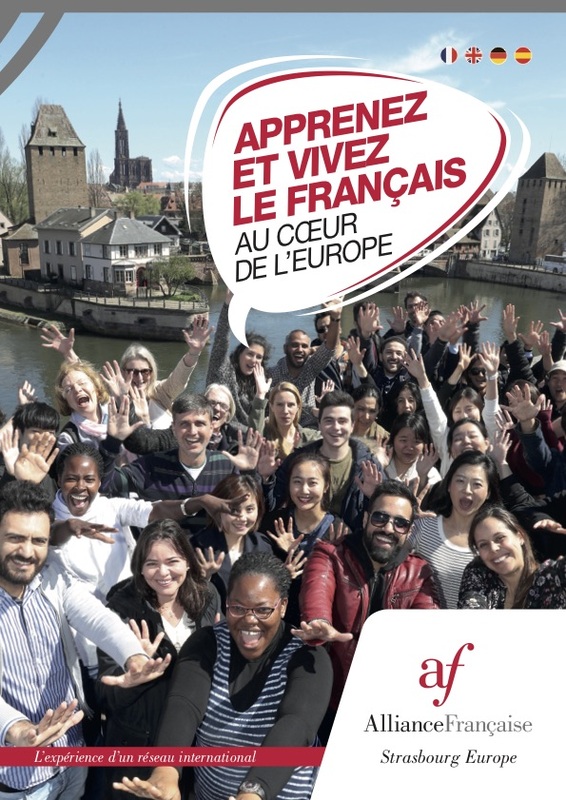 Choose Alliance Française Strasbourg Europe (AFSE) as your training partner, a recognized quality Institution with the “quality FLE” label since 2008. Since the AFSE is a registered educational institution, the training costs can be partly or completely taken over, under certain conditions. Our courses cover all language skill levels and range from general language courses to courses with specific objectives. They can take place at the AFSE or at your institution. Experience the Alliance Française Strasbourg Europe, a school of French language with the “Quality FLE” certification, proof of excellence. This is the only Alliance Française in the East of France. Our school is part of a famous worldwide network of the Alliance Française present in 132 countries. You are looking for a great teaching and want to enjoy the French culture? Make the choice of the Alliance Française Strasbourg Europe, a school certified with the “Quality FLE label” since 2008. “In Strasbourg, capital city of Europe, the Alliance Française Strasbourg Europe wants you to feel especially welcome. More than a language school with personalized mentoring of learning, our educational institution offers you cultural activities, administrative assistance and help to find suitable hosting packages. Our school chose excellence and is recognized for the quality of its education: in 2018, the inter-ministerial commission renewed its “quality label FLE” (French as a foreign language). Coming to learn French at Alliance Française, means making the choice of quality for the learning of French with “personal touch”. “Learning French is a good thing, but you also have to think about relaxing, becoming cultured and having fun. For this reason, the Alliance invites you several times a month to cultural, gastronomical, oenological, and sometimes even “unusual” excursions! If you enjoyed our cultural program, you can sign up for it! “Coming to stay at the Alliance Française Strasbourg Europe, is making the choice to live in the heart of Europe, where one feels good to live. Strasbourg is a European capital, with cosmopolite and international features, headquarter of EU institutions. Since the establishment of its school in 2003, Alliance Française Strasbourg Europe welcomed thousands of students in Strasbourg, coming from more than 100 countries. They trusted us for their education in French.